Hope you all good and kicking in your various locations?? I was having a discussion with my cousin and we came up with a very sweet topic. Imagine in the year 2020, the senate decides to allow Nigerians to pick a country of their choice abroad to serve during the mandatory 1-year NYSC program to gain more exposure and skills?? 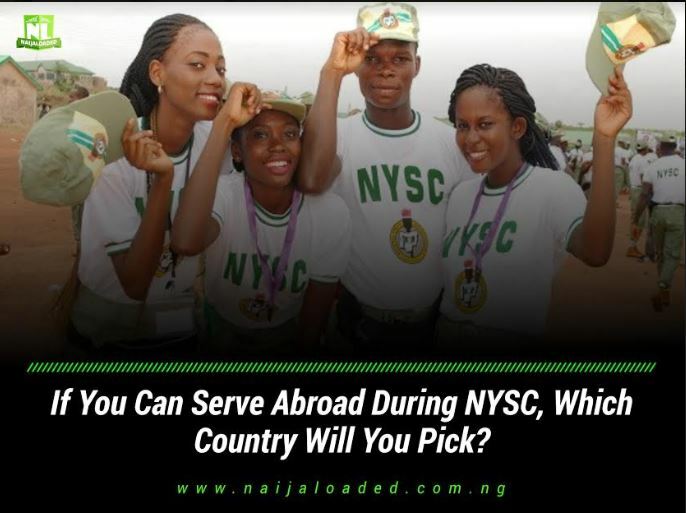 If You Can Serve Abroad During Your NYSC, Which Country Will You Pick?? You Can Only Pick One..